Patterned sterling silver cable link bracelet. Completely hand crafted. Definitely eye catching! 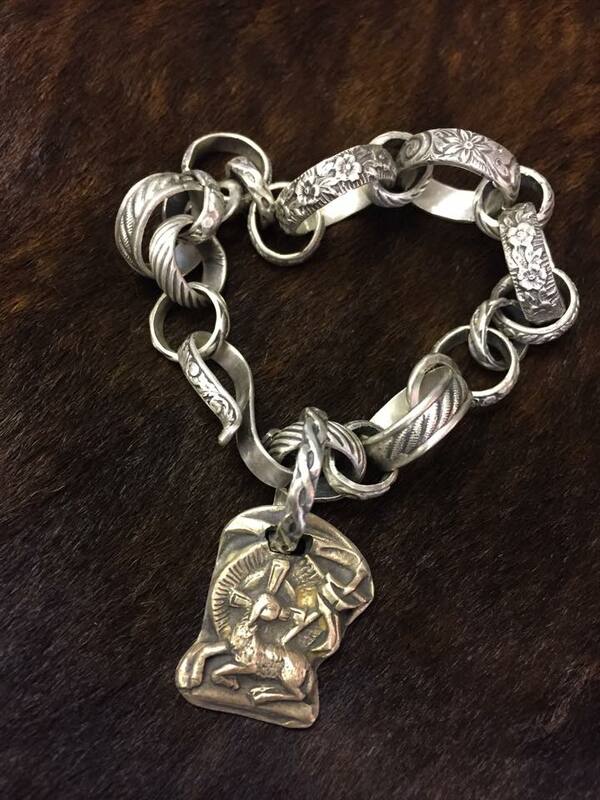 Lamb of God charm is solid bronze with large sterling silver ring. Large ring allows you to remove and wear on different pieces.